2007, still from video, 40:55. 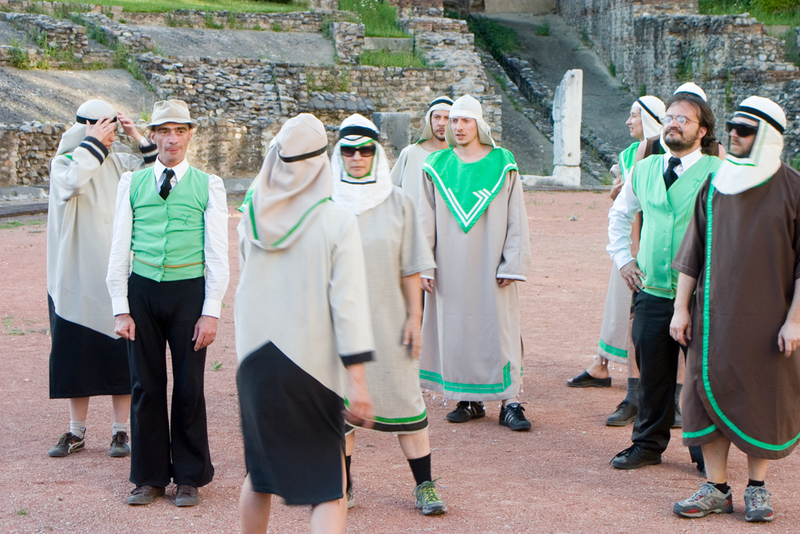 During the summer of 2007, two happenings were arranged – both taking place on archeological sites (one in Beit Shean, in Israel, the other in Lyon, France), both based on a 1932 Brecht learning play "The Exception and the Rule." 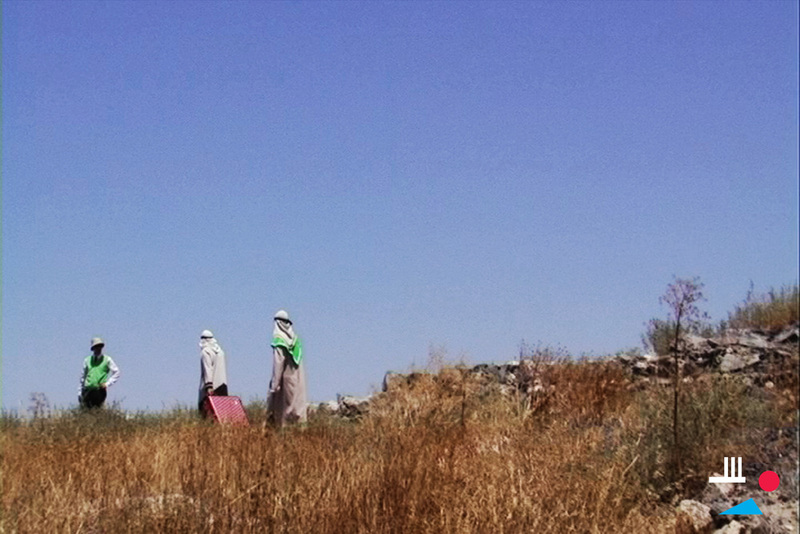 The footage shot over the course of these happenings was then edited into a two-part video, exhibited in later 2007 at the Lyon Biennial in France and at the Herzliya Biennial in Israel.